This week police evicted a group of around 50 refugees sleeping rough at the former refugee camp on rue Pajol in Paris – their tents were destroyed and sleeping bags confiscated. We are sending urgent supplies to these people as temperatures drop below freezing this time of year, but this will use the last of the stock of sleeping bags in our warehouse and we urgently need many more. 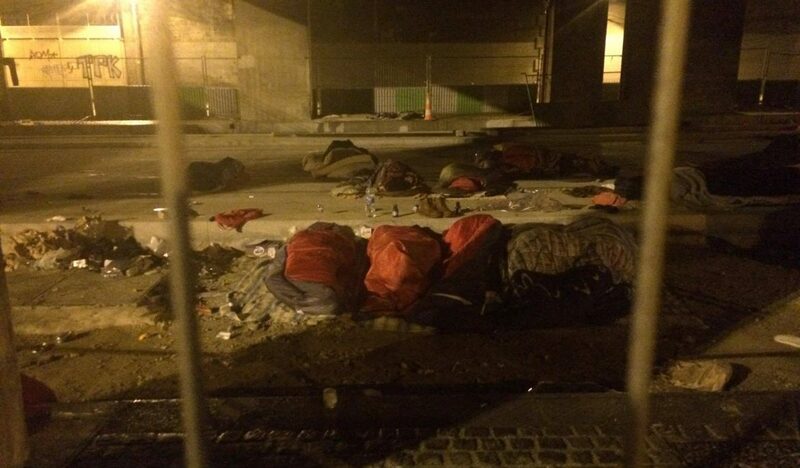 In the last two days many more refugees have been found scattered across a number of discreet areas outside the official camp at Porte de La Chapelle. They are hiding wherever they can – sleeping on the nature reserves between highways, in alcoves next to busy roads, and in construction sites. The conditions are horrifying. We desperately need help dealing with the refugee situation in Paris. We urgently require monetary donations for emergency hostels for the most vulnerable, and many, many more sleeping bags for Paris and other emergency areas in Northern France. To donate, please go to https://care4calais.org/donate or email clare@care4calais.org.